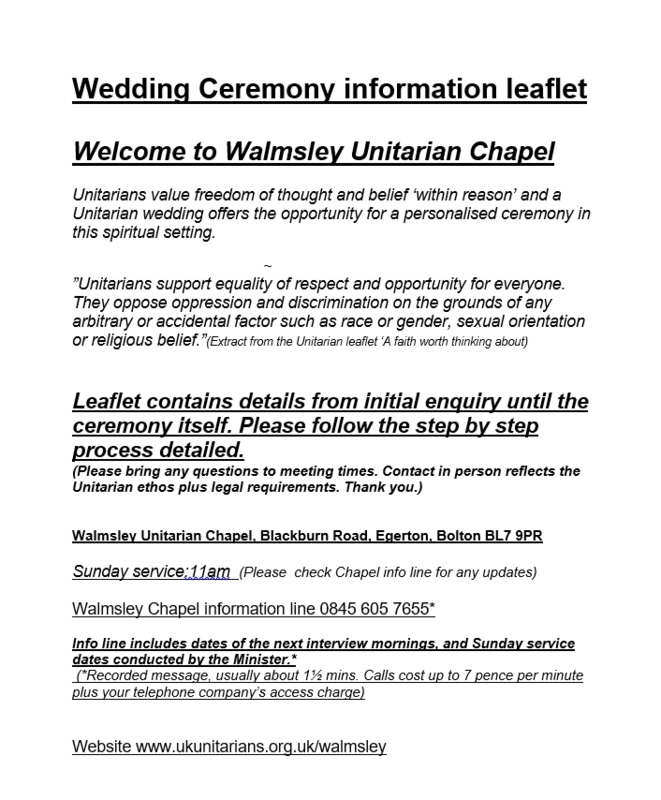 Walmsley Unitarians welcome people from different religious and spiritual backgrounds and offer personalised wedding ceremonies. It is important to get to know the religious community in which a ceremony may be held and at Walmsley a sense of spiritual community and belonging is valued; this through meeting together and building positive connections and ceremonies here reflect this ethos. Arranging a wedding here involves a step by step approach reflecting mutual commitment, and ensures we have all that we need to prepare the right ceremony for you (Including legal requirements). The process supports the values of community, spiritual ethos and personalised ceremony (rather than adherence to specific religious beliefs or doctrines ). 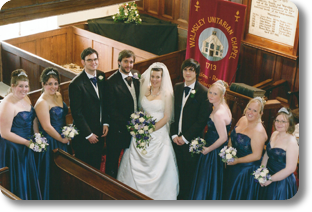 Please download our Wedding Information Leaflet for full details of the process. Leaflets are also available in the Chapel on Sunday mornings. Some people marry elsewhere and have a blessing ceremony afterwards. For further information please see the ethos as above and our wedding info leaflet which is the same process without legal aspects. Thank you.